TrafficJunky Video, Mobile, Popunder, Interstitial, Rich Media, Banner, Mobile Interstitials advertising network details. 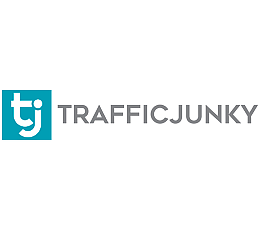 TrafficJunky has been designed to help you launch exceptional ad campaigns by offering you quality traffic and high-end marketing technology. Since our foundation in 2008, our network has been a reliable choice for companies to optimize their content in online advertising platform. Thanks to TrafficJunky’s Publisher Network, easpecially with popular adult sites such as Pornhub, Redtube and YouPorn, we reach approximately 5 billion impressions per day across the world. As a top online Ad Network, we provide advertisers with a wide range of quality web, mobile and tablet traffic, enhancing their profits to the maximum. Advertisers are really into our features, namely self-surfic interface, highly advanced targeting options and CPM-bidding platform. You can check TrafficJunky reviews on Affbank and ask TrafficJunky Team any question by using the contacts above, especially about how to earn money! TrafficJunky gives you access to the most adult impressions of any network. I find their interface and campaign creation to be a bit tedious and the banner sizes aren’t always standard so that creates work for me. It’s super easy to blow your budget until you know how the bidding system works and what geos to target so start slow and very specific. Their support can be good or bad just depends on who you talk to and they now offer 24/7 support thats nice. They accept a variety of payment options. I’m not a fan of their stats and have never figured out their s2s postback tracking but they are still worth using. Great SSP for Banners & Display inventory but not for POPs as getting thru AM is difficult. Little expensive though but other networks comes cheaper and have greater visibility in terms of numbers than TJ. Will not recommend it for newbies. Very good display and adult network. The easiest thing to do is to go to the top 3 or 4 adult websites they work with and keep refreshing your page to see what kind of ads others are running. Take note of different placements and different pages - home page, other subcategories and different videos.